In Britain the campaign to change legislation to introduce Direct Payments began in 1989 by the British Council of Disabled People (BCODP) in response to the threat to the practice of Independent Living schemes that were launched in the eighties. These schemes were considered pioneering at the time, giving greater freedoms to individuals with a disability by enabling them to live in the community and move out of institutions. This developed the idea of Personal Assistants and Direct Payments in the UK, but became considered a risk for local authorities to allow continuing. In the early nineties the Minster for Health declared these schemes illegal as legislation concerning this area dated to the 1948 Social Security Act. However audit reviews of independent living schemes highlighted that quality of service was maintained, that they were cost effective and allowed recipients more control over their personal services. The BCODP group gained an ally, Andrew Rowe, who introduced a Private Members Bill on direct payments in 1992. This failed to become legislation and so too did the subsequent attempt made in 1993. Lobbying and campaigns persisted and in 1994 the government announced its intention to legislate on Direct Payment which resulted in the 1996 Community Care (Direct Payment) Act. The subsequant policy from the Community Care (Direct Payments) Act was implemented in 1997 and through subsequent interpretation and experimentation the Bill’s initially limiting qualifying criteria has been expanded. As it now stands individuals are entitled to a care package which can be self directed or managed for the individual by a social care team. 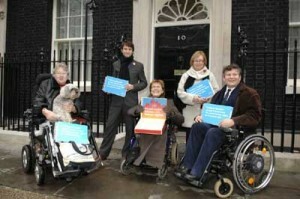 In the recent 2008-2011 strategy more personalised care, a personal budget scheme, is being advocate by the government. There is divergent opinion on this development with many viewing it as a positive step allowing for more control over more than just your PA service. Others are concerned that it will be more budget based than needs based.